Sipping on unlimited champagne, devouring h’doeuvres while watching the sunset from atop of Newport Coast, can life be any more grand? It was such an honor to attend Orange Coast Magazine’s 9th annual OC Look Party joined by some of Orange County’s most fashionable elites and local stars (including The Real OC Housewife Heather Dubrow!). This year’s raffle contributed 100% of its proceeds to benefit a nonprofit organization called Dream Guild of JDRF Orange County, and their mission to help fund critical research to help families who are affected by type 1 diabetes. Upon entering, we were greeted with a delicious glass of champagne into a private 2 story home. The backyard view of the city and the coast was truly breathtaking, especially during sunset! 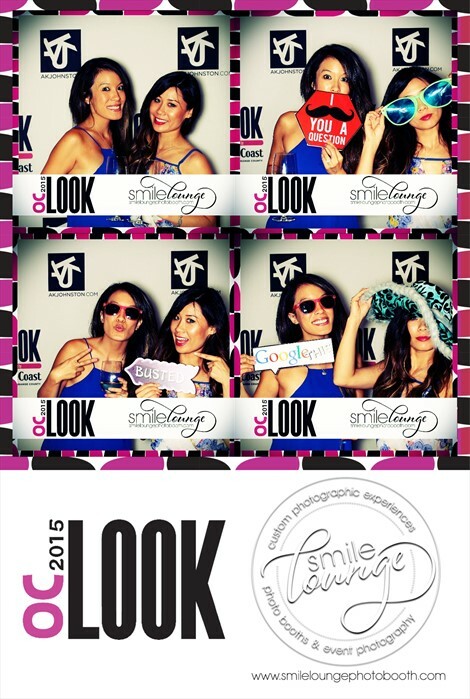 Of course, all good events have photo booths and we definitely took advantage of that. As well as the sweets table. Who can resist that, right? All in all, it was truly inspiring to see everyone come together and contribute towards such a good cause. What a successful outcome for the OC Party! ***THANKS Orange Coast Magazine for having us!